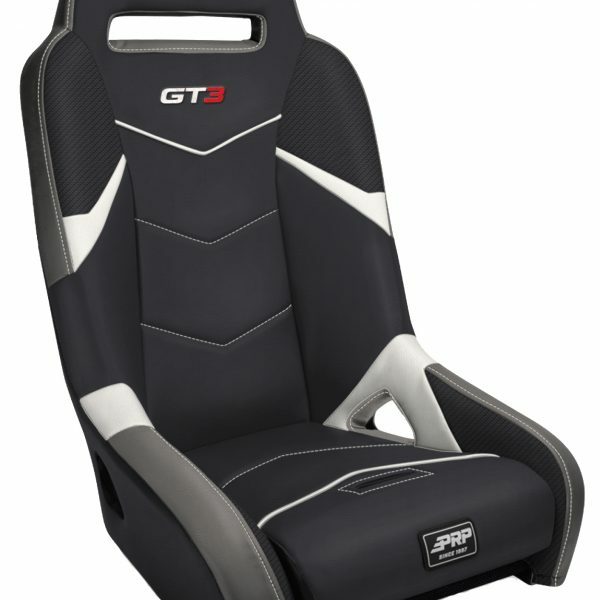 7″ of side containment and a 12° seating angle. 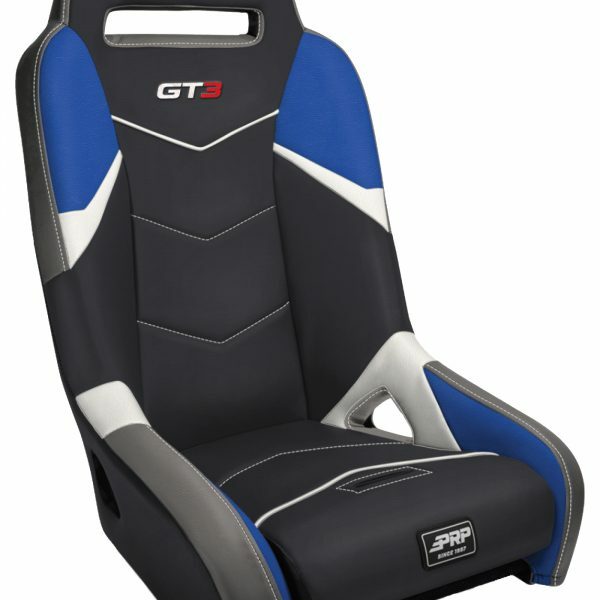 Removable Seat Cushion – Easier to clean, and allows mud/water/sand to drain through. 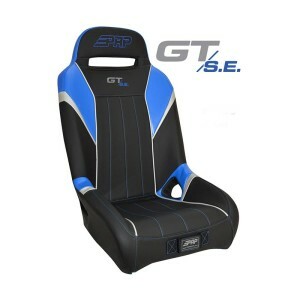 Custom built and shipped in about 2-3 weeks. 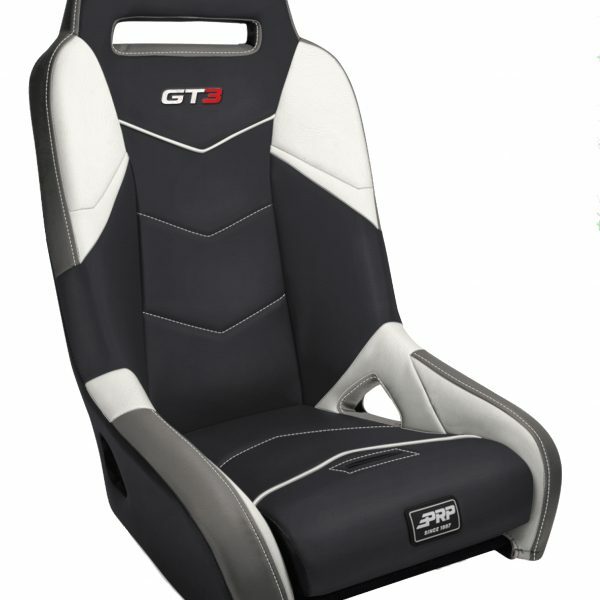 The GT3 is the third generation of our best selling GT Series. 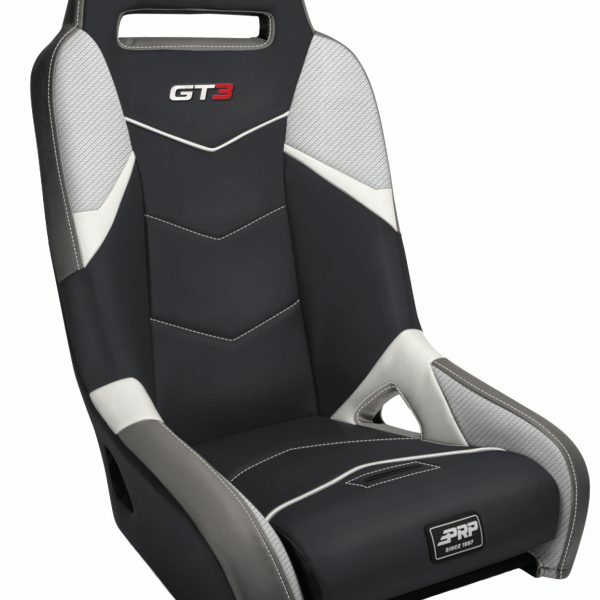 New features include a removable seat cushion, a 5th point harness slot, and all new modern styling. 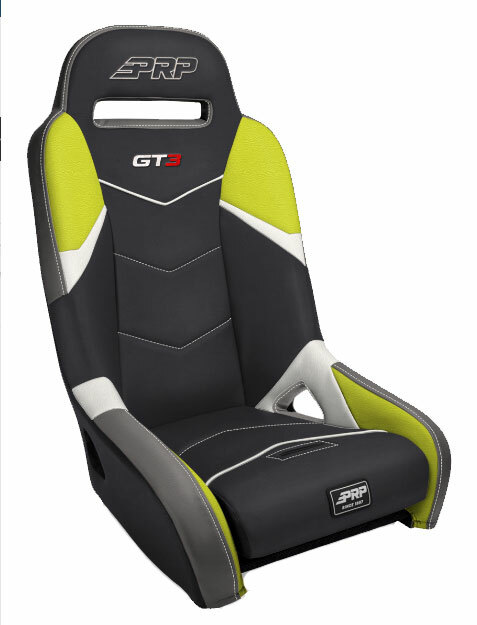 Additional bands allow you to customize the colors and materials of your seat more than ever! 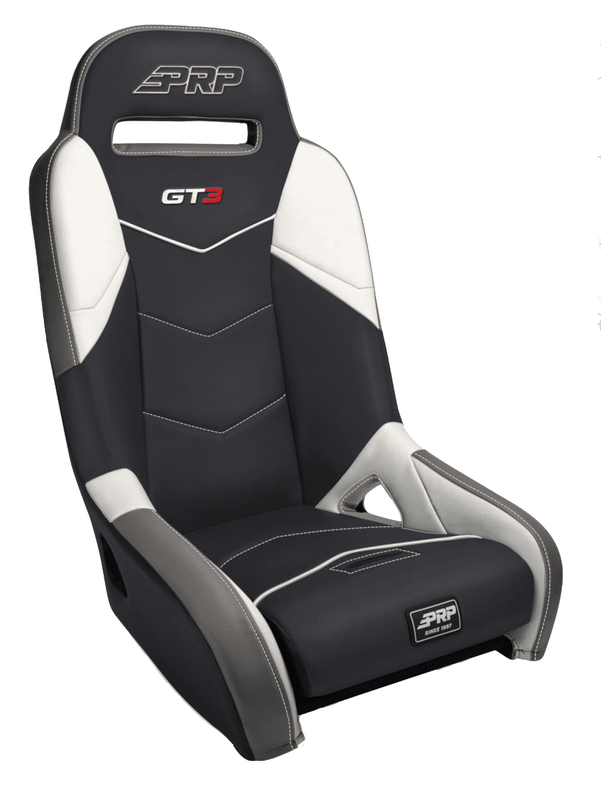 The GT3 keeps you contained and comfortable with 7″ of containment, and a perfect 12° seating angle. The vinyl-coated nylon suspension liner and dual-density foam decrease the impact on the body, reducing the fatigue you feel after a long day in the dirt or dunes. 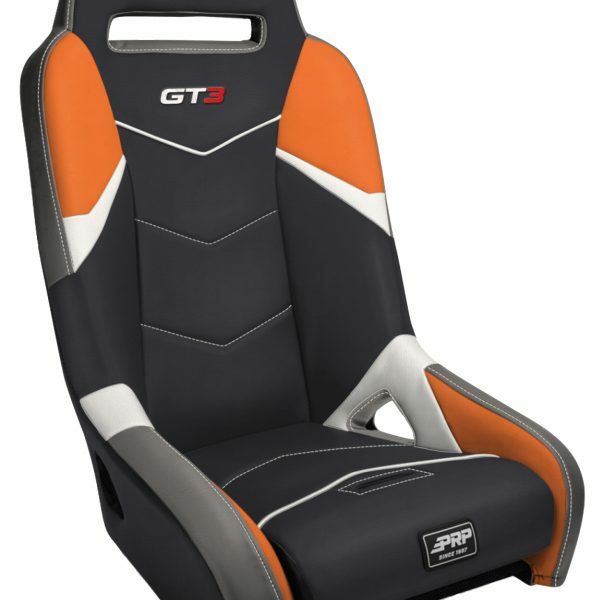 Improve your ride! 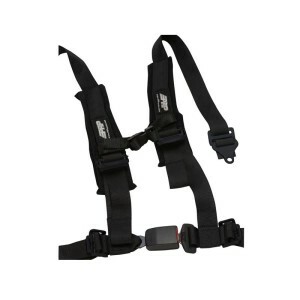 Upgrade to the most innovative aftermarket RZR suspension seat! 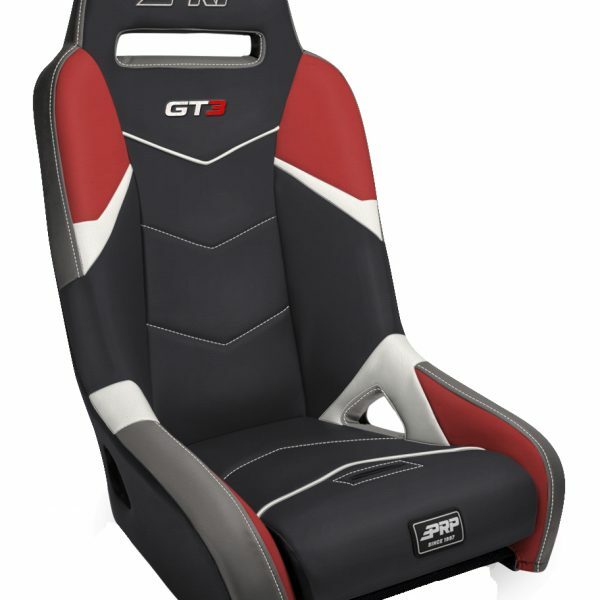 Design your own GT3 seat for the Polaris RZR RS1. Please Note: Colors shown are representative and may vary depending on your screen’s settings. 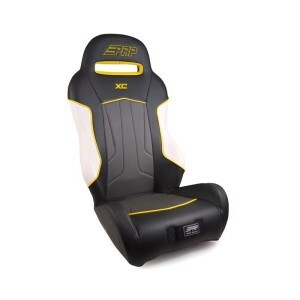 PRP’s ALL NEW suspension seat for your Yamaha YXZ. Includes mounts and padded cover for the exposed latch. Black Rhino Performance offers the top selling color combinations based on Yamaha YXZ color schemes. If you require custom color options, please contact us for options and pricing. SOLD IN PAIRS! SEE PRODUCT DETAILS BELOW!